Jean Baptiste Ndikubwimana, a graduate student in the Human Rights Program, was selected to participate in the prestigious IPSA-USP Summer School program in Sao Paulo, Brazil. Images from the Bioethics Cafe, held on September 28th, 2017. You are cordially invited to the first Bioethics Cafe to be held on Thursday, September 28th from 2-5 PM in ED 213. The theme will be "Is Bioethics Relevant for Kenya Today?" and the discussion will be led by Dr. Lilian Otieno and Dr. Simon Langat, and moderated by Prof. Karori Mbugua. You are cordially invited to attend the presentation of MA project proposals in Human Rights on June 22nd, from 9.30 AM. 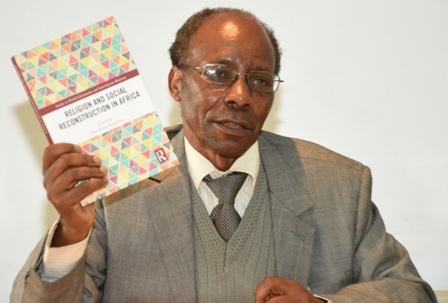 Ndunga Kitheka Shadrack and Moses Okoth Opiyo will present their work in the CHRP Library.